—Bobby Cain, in an interview published in Tennessee Magazine. A couple of weeks after Cain first walked through the doors of Clinton High School, George McMillan interviewed him for Collier’s magazine. Cain reminded Macmillan “of the men I had interviewed when I served as a Marine combat correspondent in World War II”—of a young man exhibiting symptoms of someone unable to describe an ongoing traumatic experience. 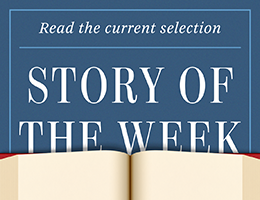 We present “The Ordeal of Bobby Cain” as our Story of the Week selection.